We all have the same goal as bloggers- to help others and monetize our talents, right? But with so many different products out there, it can be hard to decide what’s worth buying and what isn’t. So today I’m sharing an EXTENSIVE list of all of the blogging resources and blog software that I use and recommend as a blogging business owner. Grab a cup of coffee because I was as thorough as possible for you guys and didn’t leave anything out! This page contains affiliate links, which means I may receive a commission if you buy one of these products, at no additional cost to you. More importantly, I only list things that I've loved or used in the past and genuinely recommend. Each of the tools and resources here have my stamp of approval. What Makes a Good Blogging Business? Blogging Business Club: An online club for ambitious women who want to spend less time wondering what they should be doing next and more time growing a profitable blogging business. Blogging to Win Workbook: Want to create your blog business plan and organize your strategies? 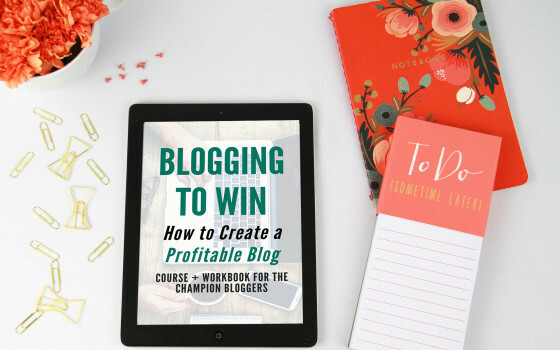 Blogging to Win: An online course to help you with the stages of setting up your blog and using modern strategies to create the platform for a profitable blogging business. Pinterest Pin Templates: Love Pinterest but hate having to design or create the pins? Grab these 9 Pinterest templates and simply edit the colors, logo, etc. No fancy software required. Pinterest Presence: Learn how to master Pinterest to drive traffic back to your website and increase growth and profitability with this self-paced online course. Pinteresting Strategies: Learn exactly how Carly Campbell went from 0-200,000 pageviews/month by pinning manually in this ebook. Become a Pinterest VA Today: Looking to make money helping other bloggers run their Pinterest accounts? This course will show you exactly how to become a Pinterest Virtual Assistant! ConvertKit Essentials: How to use the ConvertKit platform to grow your list and impress your email subscribers. Blog and Be Legal: "If you want to be sure that your blog and biz are LEGAL, this is the course for you. Written by a seasoned blogger and attorney, this is your start to finish guide for the legal aspects for your blog and online business." Here is my step-by-step tutorial on how to setup your blog with Wordpress.org and Bluehost. Bluehost: I've used Bluehost since Day 1 and still use them to this day. I recommend using shared hosting to begin with (which is what I did) and then upgrading to VPS hosting as you grow (which is what I use for some of my sites now). Upgrade your hosting plan or switch from a shared hosting plan to a Virtual Private Server (VPS) plan. Bluehost offers these VPS prices, which is what I use to run my Blogging Business Club. STORAGE SPACE FOR FILES, PHOTOS, ETC. *Note: Yes, I’m incredibly old-fashioned and I use notebooks and legal pads to write the majority of my outlines for videos and blog posts. With a young kiddo at home, I try to limit how much he sees me sit in front of a computer. Writing this way helps with that goal. Station Seven (Both Squarespace and Wordpress designs! ): You can see my full review on the Acadia design here! Creative Market also offers freebies each week. Here are the free items you can pick up this week! WANT MY SECRETS FOR A PROFITABLE BLOG? Join my FREE BLOGGING COURSE! It comes with a totally awesome 29-page workbook that'll help you build a mastermind plan, keep track of your goals, and more.